The annual New Designers Exhibition, held at the Islington Business Design Centre in Angel, is a great opportunity to discover new talents and innovative ideas. 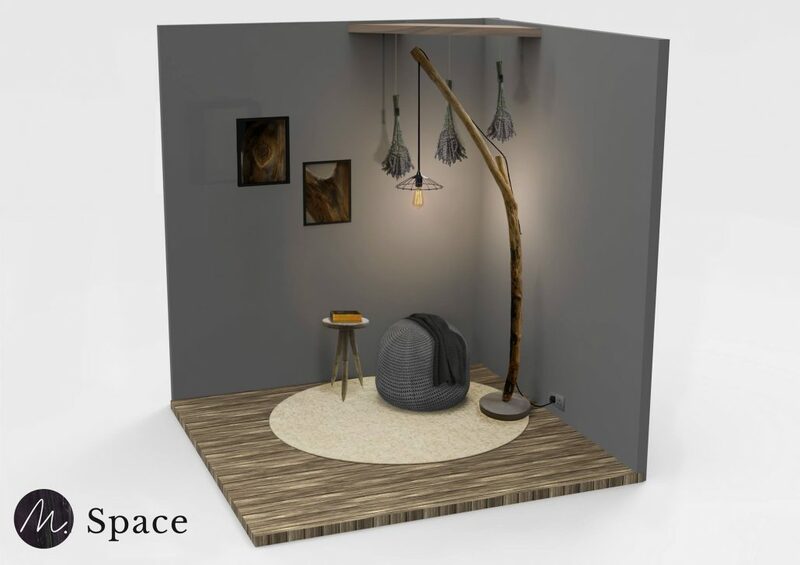 Each year, the Exhibition serves to showcase up-and-coming designers fresh out of University and eager to make their mark in design. 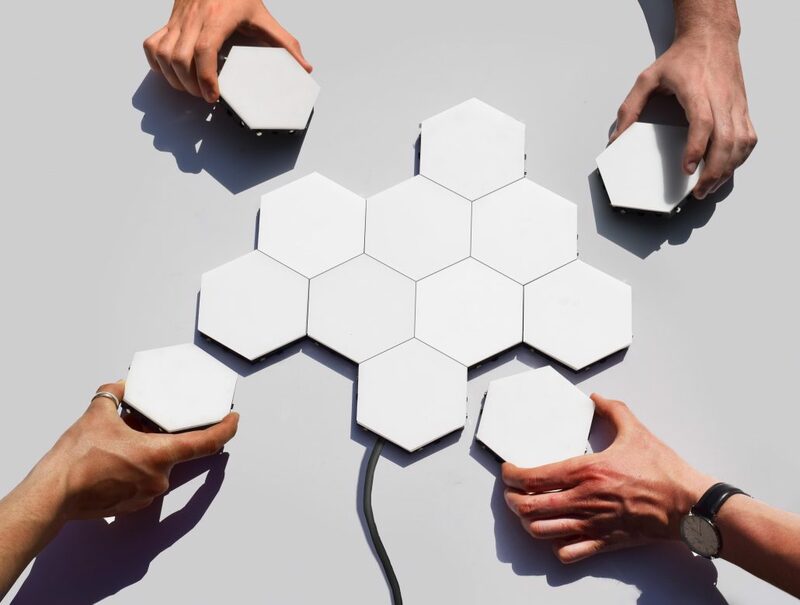 From design technology to manufacturing, from fashion to furniture design, new designers also aim to solve social problems and are exploring and pioneering responses to do just that. Two creations include the whistling teakettle whose handle actually records gripping patterns and the Medical Symbol Language Kit designed to assist low-literate patients in taking their medicines. 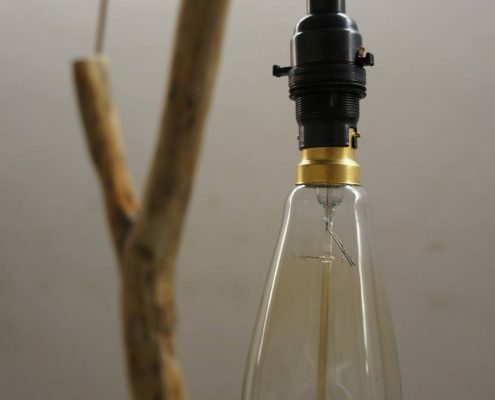 This impressive show not only promotes creativity, it brings to light each designer’s inspirational path and how the simplest object can help to create a unique piece. We had a chance to meet Andrei Carausu, a graduate from Plymouth University who constantly pushes himself out of his comfort zone through rigorous experimentation in his projects. Though challenging, he remains undaunted because he understands it is this push that will develop his thinking advance his skills, and bring truth to his designs. Andrei Carausu’s designs emphasize the importance of user interaction and thought. His analytical approach to the design process helps him construct desirable spatial experiences. 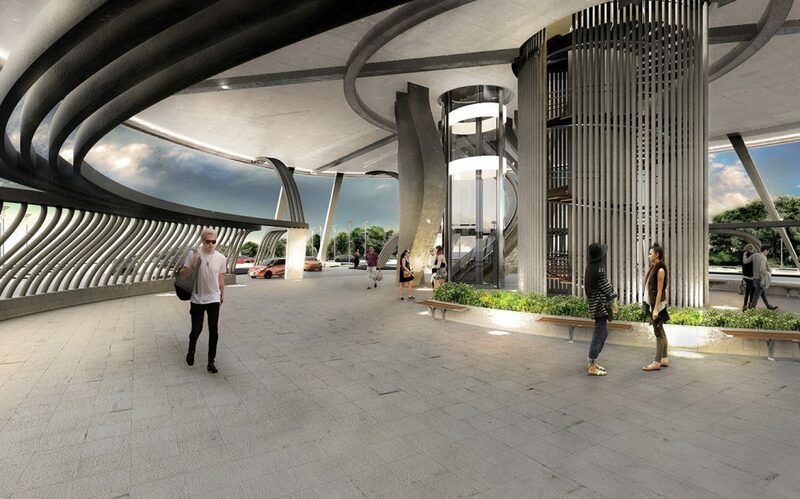 One example is his conceptual design proposal called Access. 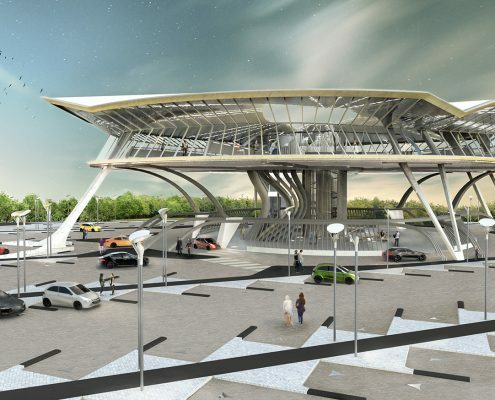 Access examines trends for electric cars within the automotive industry focusing on the near future while exploring consumers’ behaviour and demand for a future service station. 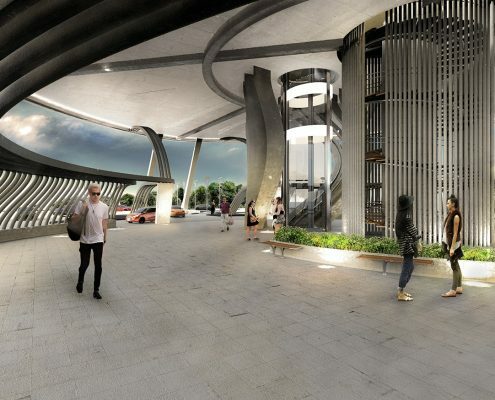 Our young designer’s inspiration came from airport terminals and long distance road journeys. 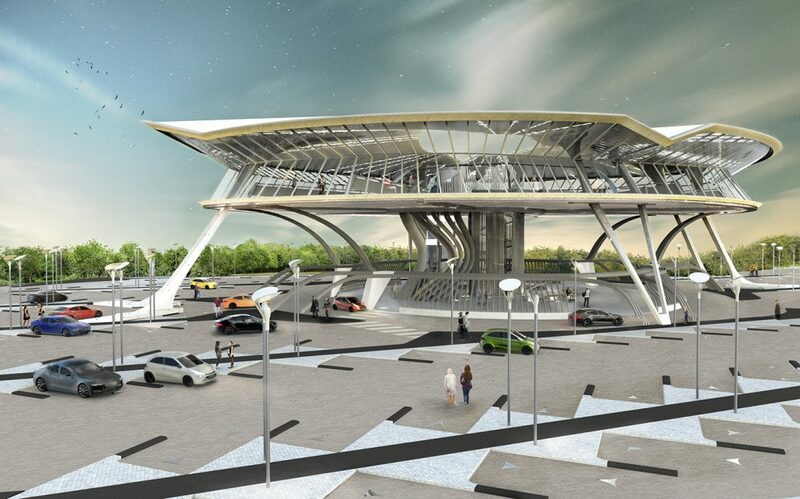 Andrei Carausu’s concept proposal not only fulfils the need for service stations in the future but also identifies potential gaps in the market, and thus, different business opportunities. The contemporary designs we discovered during this exhibition have been thrilling while some especially caught our eye, as possibilities for collaboration, partnering and sharing ideas could potentially compliment a number of our own upcoming and current projects. 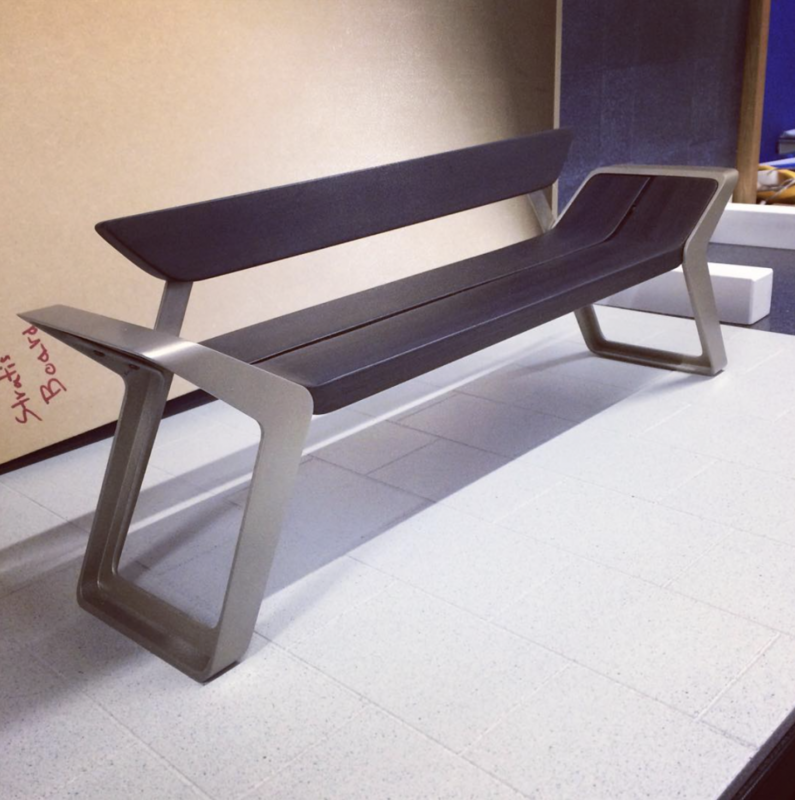 The street furniture benches, from students of De Montfort University, had a well thought-through design. 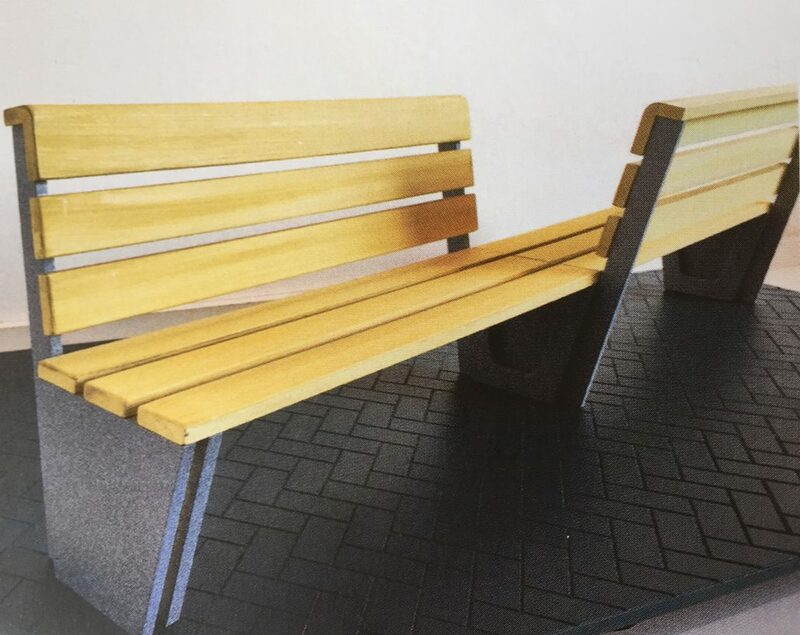 Using ergonomics strategies and maintaining an eco-friendly approach, those benches responded to our brief for a park design. The “Joy Bench” from Chin-Hao Chang combines the maximisation use of space and the space privacy for visitors to comply with park requirements. 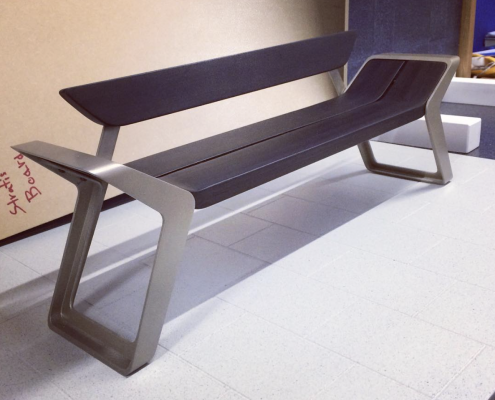 Agnete Linikaite is the creator of the “Street Furniture Set” where the emphasis is on the ergonomic shape of the bench; while it even takes into account the position of your arms when relaxing. Melina Petkovic’s lighting installation, “M Space”, immediately grabbed our attention and artistic appreciation. 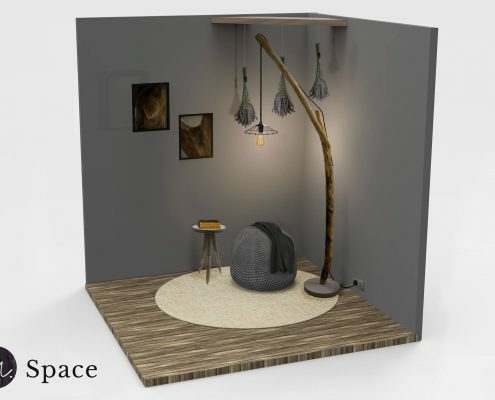 She has successfully allowed her design to give a touch of nature to an urban environment, giving the space a cosy feeling and a sense of intimacy. 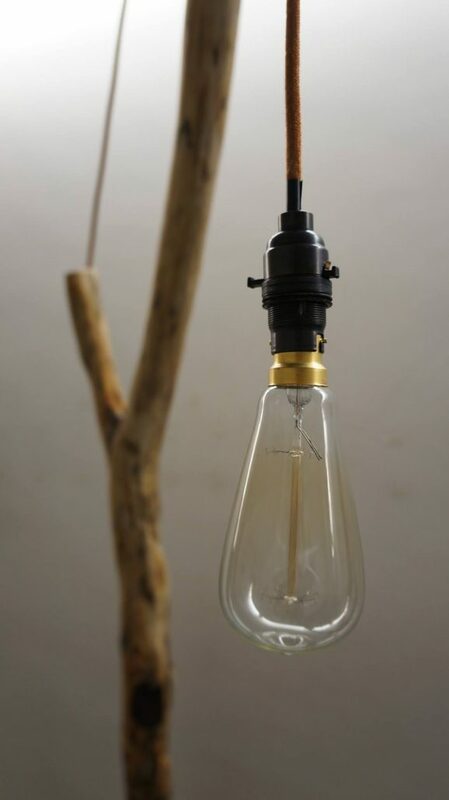 This Scandinavian design, with a hint of industrial design, uses the upcycling method and it really gives a visionary look to this lamp, considering the waste problems we have as a society. 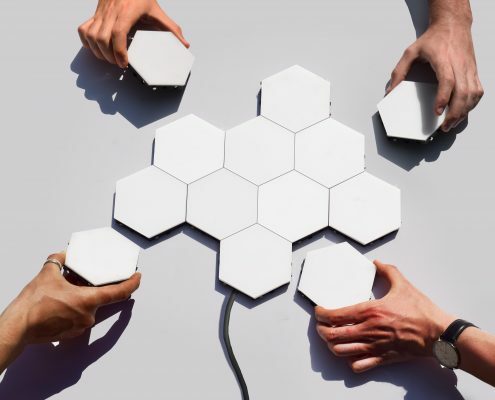 The winner of “New Designers Johnson Tiles Associate Prize 2016”, James Vanderpant, presented Helios, a modular touch activated wall light. 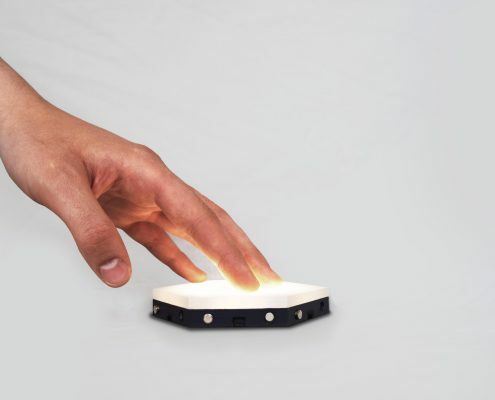 With a meticulous approach to his project, James Vanderpant designed an interactive lighting system, which can be easily tailored by its users in each and every environment. 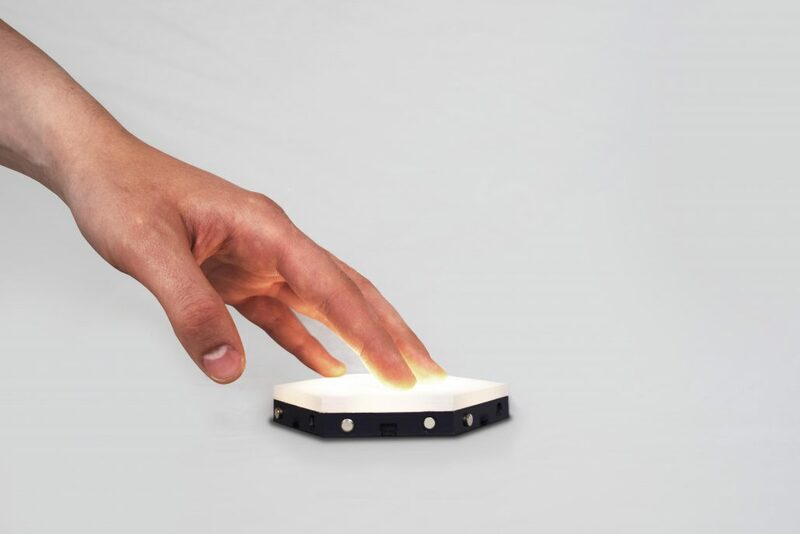 Helios not only illuminate a space by a simple touch of a hand, it can turn walls into a canvas. We at Cubika Design strongly believe in creating and developing partnerships while discovering new ideas and showcasing new designers. To that end, attending Islington Business Design Centre’s annual New Designers Exhibition affords the perfect opportunity to meet such creative minds and get a better sense of their art piece, their inventive vision, and their response and contribution to the social issues faced by today’s challenges.